Government in the G.O. (D).No.31 Health and Family Welfare dated 3.3.2005 have ordered to fill up the vacancies of Medical Officers in all the Government Health Institutions i.e., Primary Health Centres / Government Hospitals / Government Medical Colleges with Contract Medical Consultants. The willing candidates can apply for selection and appointment to the vacant posts in the application form made available in the O/o Deputy Director (Health Services) (Revenue district Deputy Director of Health Services and Family Welfare). (Fill up address of Deputy Director (Health Services) office email and phone number). The application form would be available between 10 am to 5 pm on all Government working days. The application forms should be filled in and submitted to the O/o the Deputy Director (Health Services) of Revenue District concerned. The details of posts, qualification, pay, method of selection etc., can be accessed from the website of Government i.e www.tnhealth.org. The details are also available in the O/o Deputy Director (Health Services) of the respective revenue district. The selection of the candidates would be done on every 2nd and 4th Monday by a Selection Committee headed by the District Collector of the Revenue District concerned. (1) Those registered with Professional and Executive Employment Exchange. a) Among those residing in the district as per the address given in the Employment Exchange. (b) Residents of the neighbouring districts. (2) Those who have not registered with the Professional and Executive Employment Exchange. (a) Rule of reservation to be followed in the contract appointments. (b) Selection and appointment may be made for specific Primary Health Centres/ Hospitals/Medical Colleges/Medical College Hospitals. (4) The Deputy Director of Health Services & Family Welfare/the Joint Director or Deputy Director of Medical and Rural Health Services & Family Welfare / the Dean of the Medical Colleges shall issue the appointment order, after the approval of the District Committee, to the Contract Medical Consultant posted to their institutions as the case may be. (5) A waiting list of 50% of the vacancies notified shall be maintained in the districts Directorate wise. (6) The Deputy Director of Health Services & Family Welfare / the Joint Director or Deputy Director of Medical and Rural Health Services & Family Welfare / the Dean of the Medical Colleges are authorised to issue orders of termination in consultation with the District Committee. (7) The Deputy Director of Health Services & Family Welfare / the Joint Director or Deputy Director of Medical and Rural Health Services & Family Welfare / the Dean will intimate the vacancies to the District Committee as and when vacancies arise. The Chairman of the District Committee shall take immediate action to fill up the vacancies from the waiting list. (8) The drawing officer of the respective institution to which the Contract Medical Consultant is posted, is the authority to draw and disburse the consolidated pay to the Contract Medical Consultant appointed on contract basis. 1. The appointment as Contract Medical Consultant is purely on contract basis. The period of contract shall initially be for six months from the date of joining or till the regular candidate appointed through the Tamil Nadu Public Service Commission joins duty in that place. The contract may however be extended further at the discretion of the District Level Committee depending upon the performance and the need. 2. The appointment is liable to be terminated at any time during the period of contract, without any notice and assigning any reason. 3. The Contract Medical Consultant shall be resident at the Headquarters of the Medical Institution to which he/she is posted. 4. The Contract Medical Consultant shall work for six days a week from 8.00 A.M. to 5.00 P.M. He/She shall, however, adhere to the working hours assigned to the post. In addition to the one day weekly off as mentioned above, they shall be eligible for ten days casual leave per year. They are not eligible for any other kind of leave such as permission leave, compensatory leave, earned leave etc. Any unuathorised absence will entail termination from service. 5. The Contract Medical Consultant shall abide by the duties and responsibilities assigned to the post to which they are posted. Further they shall carry out any instructions / other work assigned by the Deputy Director of Health Services & Family Welfare / the Joint Director or Deputy Director of Medical and Rural Health Services & Family Welfare, the Dean from time to time in the course of their employment. Any representation from the Contract Medical Consultant may be addressed to the Chairman of the District Committee who will give a quick hearing and fair disposal. This agreement is made on the ............................ day of ................................... Two thousand and Five between Dr........................................(Name) Daughter /Son/Wife /Husband of Thirumighu ............................................................................ Residing at ........................................................................................................................................... and appointed as Contract Medical Consultant on contract basis (hereinafter referred to as the "Appointee") on the one part and the Government of Tamil Nadu which expression includes its successors in office and assignees (hereinafter referred to as the "Government") of the other part. 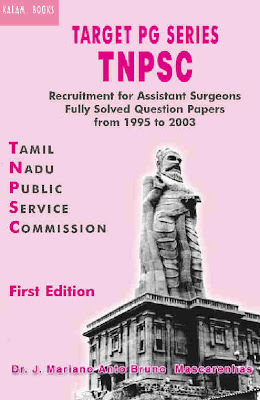 Whereas the Appointee Dr.........................(Name) having been selected and appointed as Contract Medical Consultant to work on contract basis, in the ......................................................................(Name of the Health Facility)..............................................................(Name of the District) for a period of six months / a period decided by Government or till the regular candidates selected by Tamil Nadu Public Service Commission join duty AND WHEREAS the contract appointment has to be Governed by an agreement to be executed by the Appointee and the Government. 1. The Appointee shall work in the health institution to which he/she is posted and undertake to discharge his/her duties and responsibilities to the best of his/her knowledge and ability as per the Terms and Conditions for appointment of Contract Medical Consultants at Annexure ‘A’. 2. The appointment is specific to the health institution for which the candidate is selected and the Appointee should serve there for the entire period of contract. 3. The Appointee shall not claim any rights as a full time member of service since it is purely a contract appointment. 4. The Appointee shall not be entitled for any preferential claim whatsoever for regular appointment in Government service at a future date. 5. The Appointee shall not claim eligibility to apply for admission to a Post Graduate course as a service candidate. 6. The Appointee shall not be entitled to probationary or any other rights. 7. The services of the Appointee are liable to be terminated at any time during the contract period without any notice. 8. The Appointee shall serve the health institution, to which he/she is posted, for the contract period and shall abide by all the rules in force. .....................(Name) .......................... (designation) acting for and on behalf of and by the Order and direction of the Governor of Tamil Nadu on the day, month and the year first written above. I express my willingness to work in the above institution on my appointment as Contract Medical Consultant. I hereby certify that all the above particulars furnished by me are correct and I shall join duty within three days from the date of receipt of appointment orders.